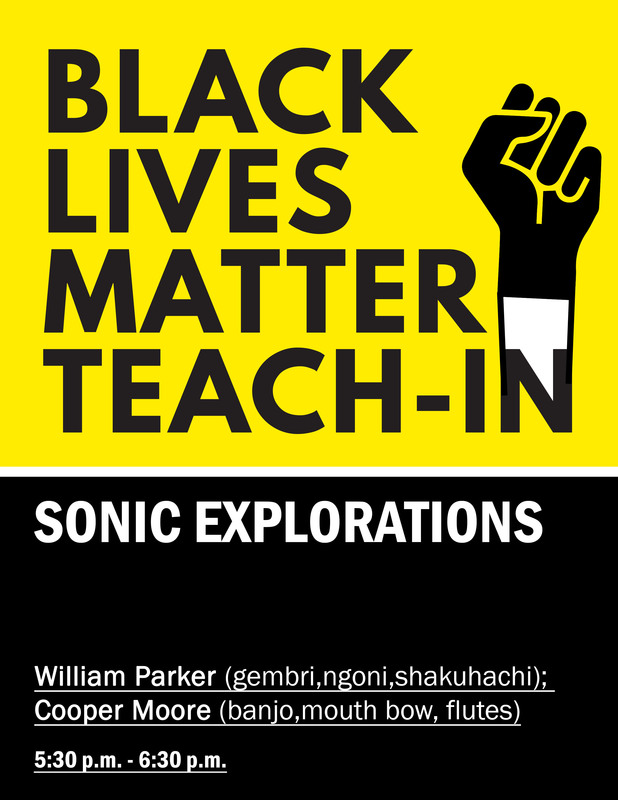 A Performance by William Parker and Cooper-Moore. William Parker is a musician, improviser, and composer. He plays the bass, shakuhachi, double reeds, tuba, donso ngoni and gembri. He was born in 1952 in the Bronx, New York. He studied bass with Richard Davis, Art Davis, Milt Hinton, Wilber Ware, and Jimmy Garrison. He has taught at Bennington College, NYU, The New England Conservatory of Music, Cal Arts, New School University and Rotterdam Conservatory of Music. Cooper-Moore is multi-instrumentalist, composer, storyteller, instrument-builder and educator living in East Harlem, New York City. Cooper-Moore’s approach to music goes beyond simple categorization. Though he is now informed by Creative Improvised Music and the jazz avant-garde, his ears are rooted in the Gospel, Blues and Bluegrass traditions from the place of his birth, rural segregated Virginia.